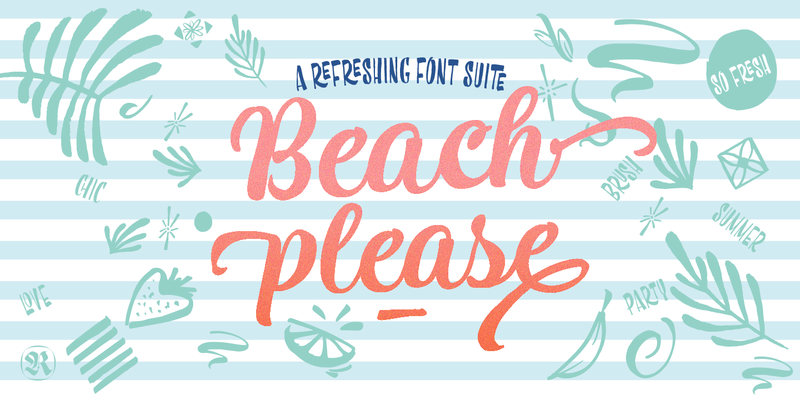 Beach Please - Is a suite of handwritten fonts designed with pointed brush and watercolors. 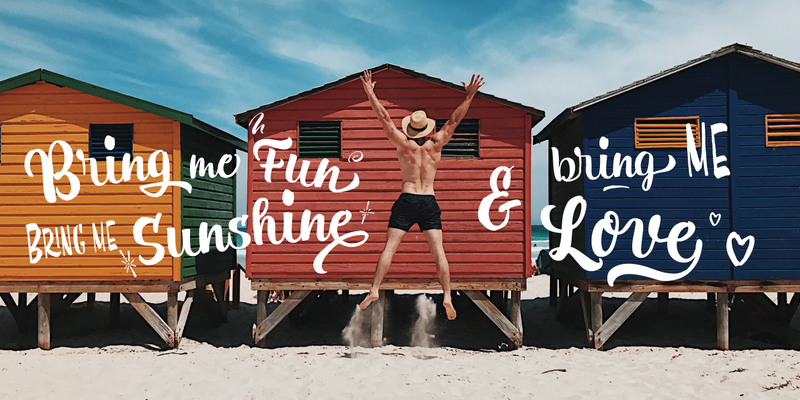 Beach Please Script is a relaxed and tender brush font, inspired by sign painting. 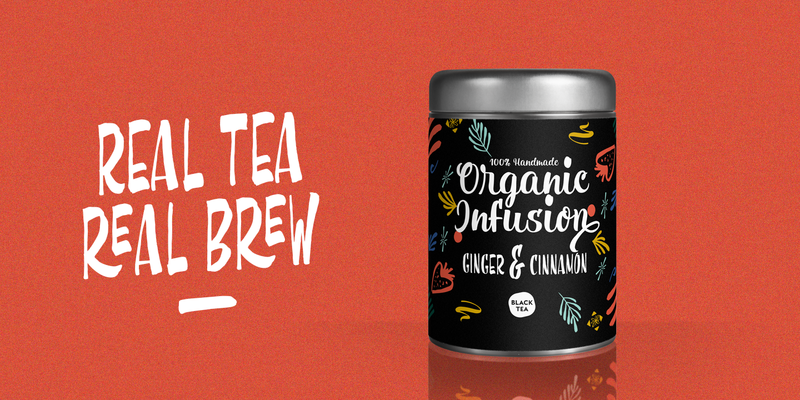 The aim was to give a fun and fresh twist, exaggerating some curves and punctuation signs. 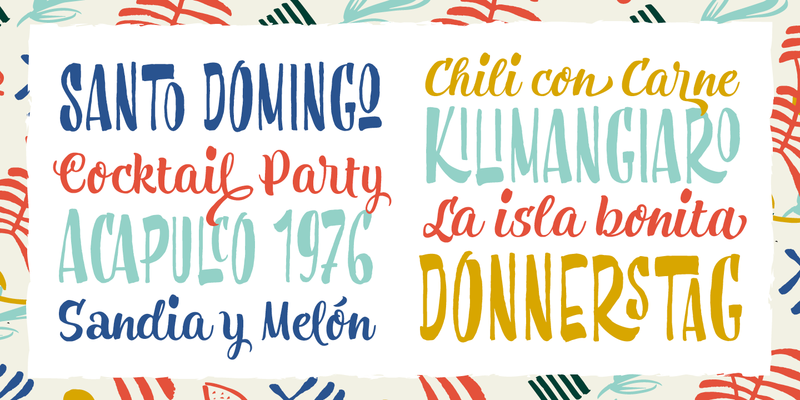 There are also many alternates and swashes included accessible through opentype. Beach Please Caps & Wide have a bizarre look because of the reversed contrast on some letters, this particularity gives to the font a total new expression perfect for catchy headlines. Beach Please Wide works better when you need to use it in smaller sizes. It is full of ligatures to give to your text a realistic handwritten feeling. 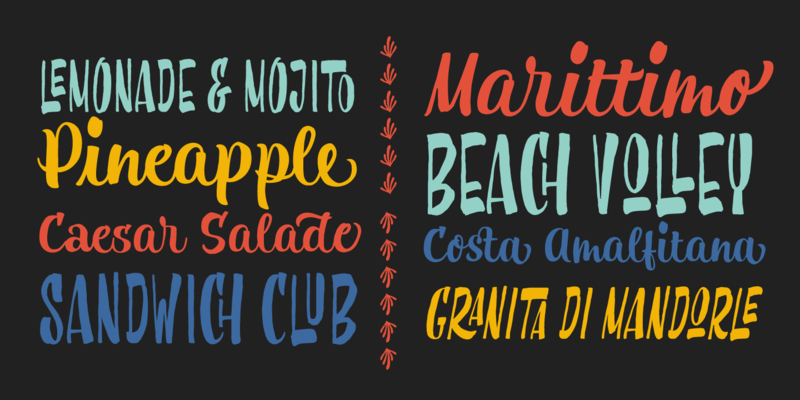 We also present in this font family a slanted version for each font. To complete the Suite a set of tropical and fruity icons is also available. These sketchy vintage illustrations are perfect to create beautiful letterings and graphic layouts.